This Bear On The Loose 5 Arm Chandelier depicts bear circling a tall pine over a lighted branch accented dish. 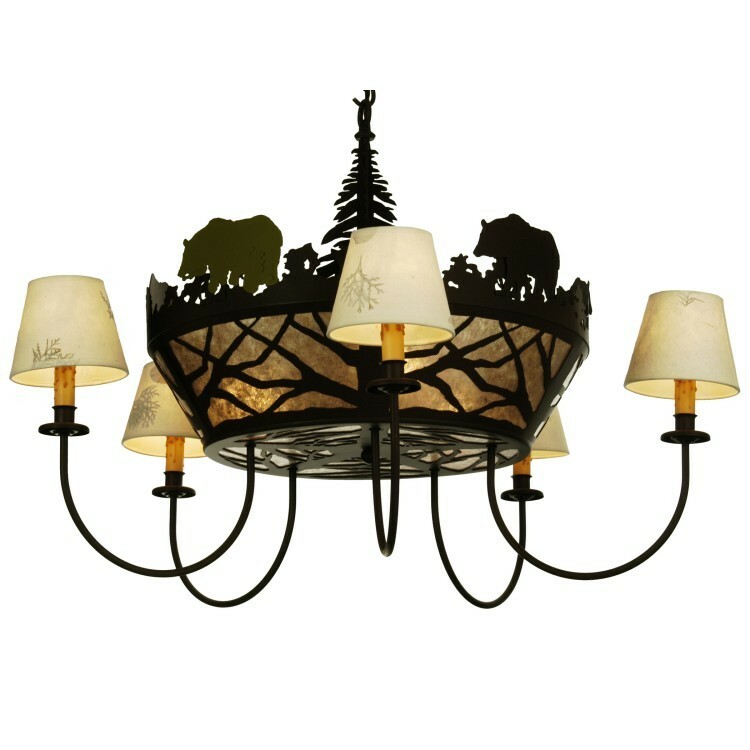 The fixture has five lighted arms that have wax candle covers and are topped with Ivory paper shades with pressed foliage. Finished in Cafe Noir and lined with Silver mica, this rustic fixture is handcrafted.